King's Cross Station. Photo: JAY in the Londonist Flickr pool. 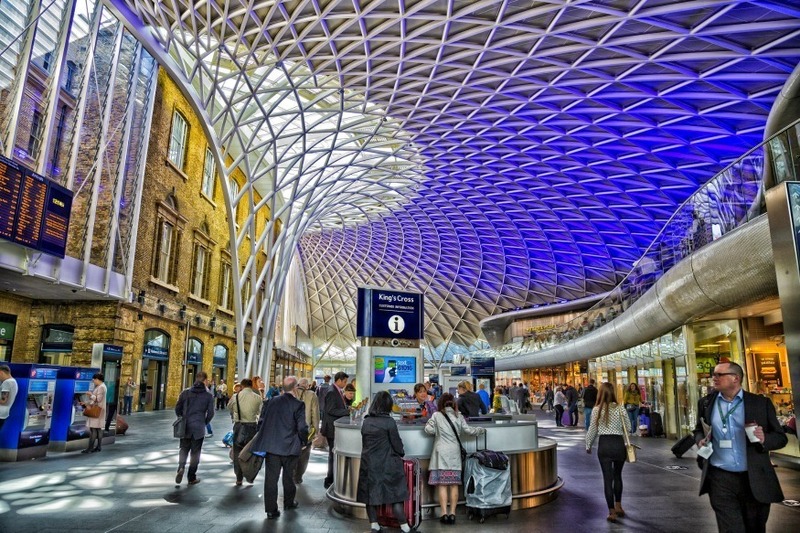 Once upon a time, King's Cross was a very different place — at worst, seedy and a bit hostile and at best, seedy and affable. It’s nearly unrecognisable now, after facelifts to Granary Square, St Pancras station and the enormous, neo-gothic loveliness of the St Pancras Renaissance Hotel. The food, bar and pub options in WC1 have improved vastly in recent years too. Here's our pick of the best. Small and friendly, Patisserie Deux Amis is open from 9am serving up French pastries, savoury snacks, and even offering a tiny sliver of outside seating. For a hot breakfast, Green and Fortune Café is open from 7.30am on weekdays selling Union Coffee, along with food ranging from your basic bacon sandwich to the oddly elaborate confit tomato croissant. In need of a quick breakfast bite on the fly? Londonist's Ruth Hargreaves recommends Sourced Market inside St Pancras Station for its decent selection of pastries, breakfast buns and freshly squeezed juices. Hot off the griddle at Tongue 'n' Cheek. 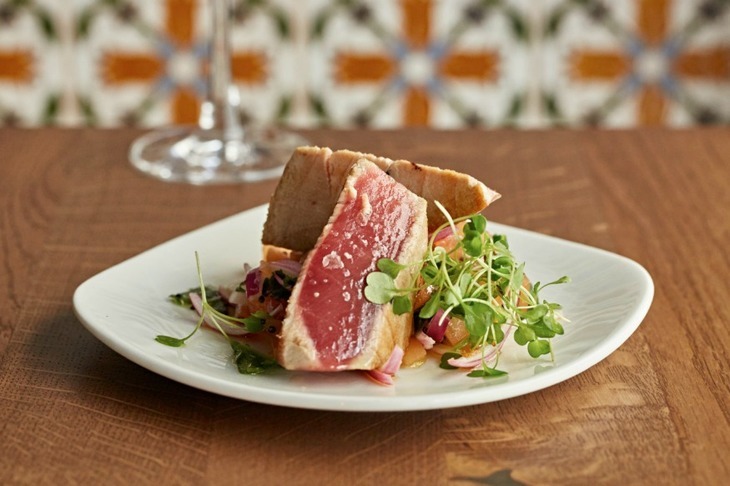 Go slightly off the beaten track of Granary Square and York Way, and you'll find great food of all origins. The vegan Japanese set lunch menu at Itadaki Zen, vegan and veggie fare at Foodilic, the spinach and feta filo pie lunch box at The Greek Larder and the gözleme (stuffed Turkish pancakes) at the Pitted Olive Café are all very tasty and good value too. And, yes, plenty of places in the Coffeeshops and Pubs sections would be a good bet to visit for a cosy winter's lunchtime, but in the summer it's all about KERB. 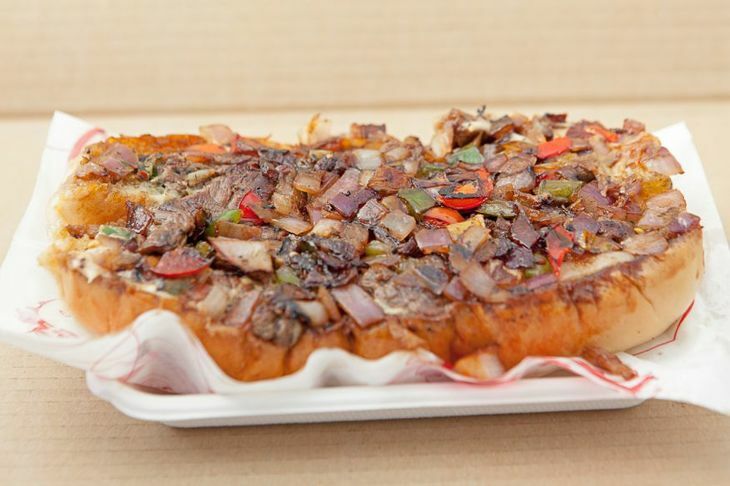 Opening days for this street food market vary, but at present it's Wednesday to Friday, and the website will give you the latest opening hours and roster of traders. Watch out for Tongue 'n' Cheek (currently Fridays only) and try the ox-heart and beef burger. The jollof and peas pots from Cally Munchy and the ridiculously good Hawaiian poke bowls from Lords of Poke are also worth making a trip for. King's Cross has a surprising number of good pubs, making WC1 feel like a neighbourhood rather than just a temporary paddock for commuters to roam on their way to the station. The Star of Kings and The Fellow both have a loyal after-work crowd for drinks, although for great pub food to go with your craft beers, and a slightly buzzier feel at weekends, The Driver and The Norfolk Arms are especially good. 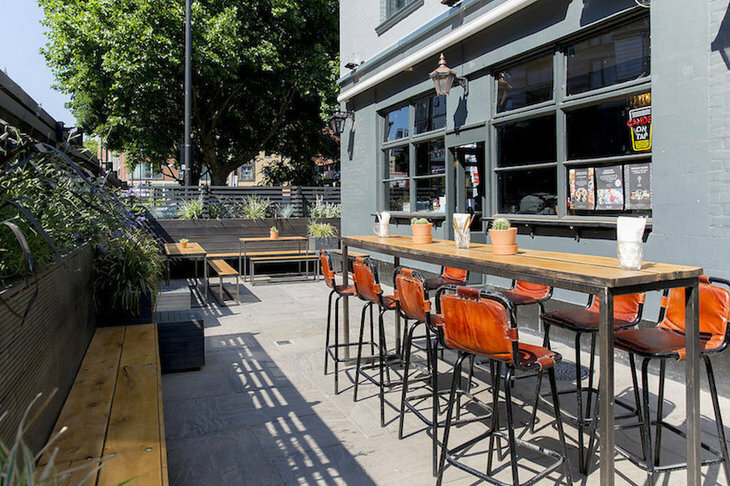 The amazing beer at The Queen's Head won't come as a surprise to people who know its sister venues in east London, Mother Kelly's bottleshop and taproom. But throw in regular live music, a lovely and simple food menu of pork pies, cheese boards and cold meats, and a warm, wooden and leathery interior, and this is ticking all the boxes for a great Sunday evening pub. The Terrace at German Gymnasium. No workout required. Firmly a bar rather than a pub, Simmons King's Cross is both popular for cocktails, snacks and late-night dancing. So is Drink, Shop & Do, although this cafe-by-day, bar-by-night hybrid also has a line-up of events to help you transition from afternoon drinking to late-night dancing. Things like adult colouring-in, beer pong and Make Your Own Crown sessions — while at Simmons, the five-hour long happy hours are entertainment enough. For a more ornate drinking experience, try German Gymnasium. It serves Mittel-European dishes but the food's less exciting than the building — a high-vaulted beauty in the Alsatian Grand Café mould. Head for the Meister Bar on the upper floor to benefit from the two best parts: the views, and the cocktails. The views are also a good reason to go for drinks at The Lighterman bar, with whole-wall windows looking out onto Regent's Canal, or for a more al fresco atmosphere there's the roof terrace at Big Chill, with a serious, no-messing amount of shelter and heaters in the winter. The King's Cross restaurant scene's a globe-trotting thing, with no one community holding sway here. For amazing food, zero frills and a powerful hit of Szechuan spice, head for the hotpots of Chilli Cool. Also at the more informal end of the scale, go for the fish and chips or haddock cakes at North Sea Fish. At the pricier end is the modern British menu at Rotunda, and the globe-spanning menu at Grain Store, both very good at either a quick drink and a bar snack or a three-course dinner. VOC London is also worth a visit if you're looking for quasi-Americana; grilled meats, steaks and lemon cream pie feature largely. Camino and Dishoom are among our favourites, with a similar feel to each other — although the former's doing tapas and the latter's serving Indian-Irani café dishes, they both have a medium-kitsch, very colourful interior. We recommend a visit to their bars as well - Camino's courtyard bar on Varnishers' Yard serves up sherry, cava or frosted glasses of Spanish craft beer, and the Permit Room bar under Dishoom specialises in retro, Indian-influenced cocktails. Finally, Quality Chop House is one of the best restaurants in the area, serving the best quality British ingredients, cooked simply, some of them coming from their butcher's shop next door. 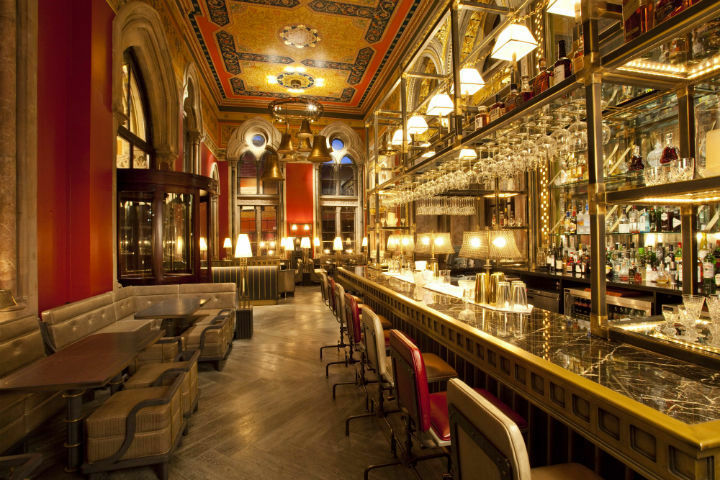 Clear winner of the something special crown in King's Cross is The Gilbert Scott at the St. Pancras Renaissance Hotel. It's a slice of very British grandeur, complete with white tablecloths and chandeliers, just managing to avoid stuffiness thanks to friendly and fairly relaxed service. All high, curlicued ceilings and just as lofty prices, it's not for the faint-hearted/walleted, but if you're looking for a fine dining experience in WC1, this is hard to beat. Caravan is well-known for their good coffee and the location on Granary Square makes it perfect to hit for a takeaway flat white and a pastry to take for a walk along the canal. 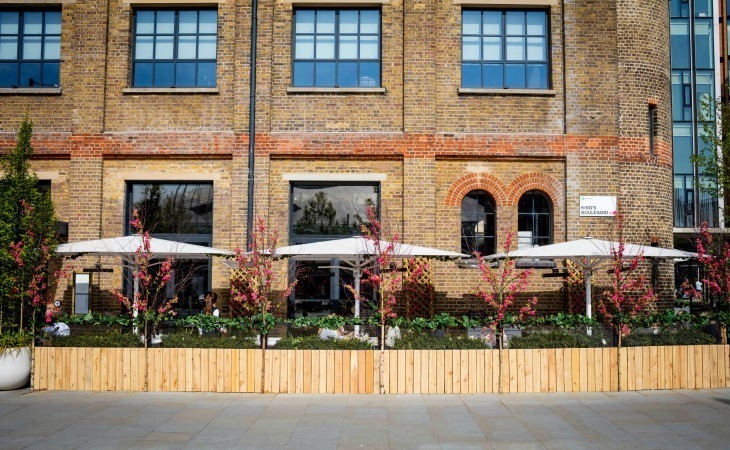 Londonist writer Ruth Hargreaves recommends Notes as a cosy little outfit on Pancras Square. It's small and not well suited for extended stays, but the coffee is great. But if you're after a lovely place to settle in, Moreish Café Deli on Marchmont Street has great coffee, Spanish-influenced snacks and a welcoming strip of window seats for people-watching, MacBook-flaunting or just installing with a friend and a lot of their freshly-baked orange and honey cake. For a late-night but refined cocktail in King’s Cross, you can’t beat the Booking Office – a bit like drinking on the Orient Express, it’s all leather booths, elegant glassware and quiet calm. Not a place to come for riotous good-times, but a beautiful one, and rarely closing before 1am. Leaning more towards the riotousness than the refinement, four-storey Scala could almost be considered an old-timer on the King's Cross nightlife scene as its been operating as a club since 1999. Live music and club nights dominate the schedule with events often running to 5am. The Lexington’s also a reliably great night out, with live sets upstairs, DJs downstairs and a huge number of whiskies and beers behind the bar. It’s open till 4am at weekends and 2 to 3am apart from that, so you should have time to try all of those things very thoroughly. Know of somewhere we've missed? Disagree with our choices? Let us know in the comments below. Note: we're calling King's Cross the area running as far north as the Regent's Canal Towpath, the eastern side reaching down Calshot Street and King's Cross Road, the southern edge along Tavistock Place and reaching along Judd Street and Midland Road in the west.